I will admit that I was never a big fan, but Houston’s immense vocal talent was beyond question. She had sold more than 170 million records worldwide, including 11 US number ones and four in the UK, and her version of I Will Always Love You still stands as the biggest selling single of all time by a female artist. Best to remember her for that than her tumultuous marriage to Bobby Brown and her drug usage. The Grammys will pay tribute to her tonight with a performance by Dreamgirls star and Oscar winner Jennifer Hudson. Here is a quick dedication, Nostalgia Jukebox-style, with a listing of five notable Whitney tracks. This wasn’t Houston’s debut single – it was in fact her fifth, with her preceding release You Give Good Love reaching number three in the US – but it was her first UK top 40 hit and the one which catapulted her to global stardom. Co-written by the heavy-hitting pair of Michael Masser (whose songwriting credits include Dionne Warwick, Diana Ross, Barbra Streisand and, er, that song by Glenn Medeiros) and the legendary Gerry Goffin, this was the template for the classic Eighties R&B ballad, showcasing Houston’s silky vocals and her immense range. It is actually a cover version, having originally been recorded as a duet by Marilyn McCoo and Billy Davis Jr in 1978. The song topped the US charts for one week – the first of a record-setting seven consecutive number ones for Houston – and two in the UK, where it was denied the coveted Christmas number one slot by Shakin’ Stevens’ Merry Christmas Everyone. (Go figure.) It also won Houston the first of her six Grammy awards in 1986. I always preferred Houston’s ballads to her more up-tempo, poppier efforts – I Wanna Dance With Somebody (Who Loves Me), many people’s favourite, leaves me stone-cold – but I’ve always grudgingly liked this one. Maybe it’s because it was her first such single, or maybe it’s because it is undeniably catchy and unselfconsciously joyful. Whatever, it’s a fun track. The song was originally written for Janet Jackson (who passed on it), and features Whitney’s mother Cissy on backing vocals. It gave Houston her second US number one, and peaked at five in the UK in early 1986, brightening up what I recall as a particularly gloomy and miserable winter in which I was ensconced in my first round of O-level mock exams. More recently, the first verse was heavily sampled as part of LMC’s Take Me to the Clouds Above, which topped the UK charts in 2004. Houston followed up her first album, Whitney Houston, with the equally imaginatively titled Whitney, from which this track was taken. Again co-written by Michael Masser, the song was rumoured to be about her relationship with NFL quarterback Randall Cunningham. It only charted at number 14 in the UK in the summer of 1987, but the song gave Houston her fifth consecutive number one Stateside. Unusually, the track was released without a promotional video. And – thank you, Wikipedia – episodes of US TV shows Grey’s Anatomy and Degrassi: The Next Generation were named after the song. Although it’s far from being one of her biggest-selling tracks, for me this was one of the last of the peak period of Houston’s career. After this her ballads started to lose their freshness and started sounding awfully samey, resulting in the execrable saccharine of the 1988 US Olympic anthem, One Moment in Time. If Didn’t We Almost Have It All was, for me, the last of Houston’s great belting ballads, So Emotional was arguably the last good pop song from the first phase of her career. The track has a fantastic pedigree, being written by Billy Steinberg and Tom Kelly, the duo behind such classics as Madonna’s Like A Virgin, Cyndi Lauper’s True Colors, Heart’s Alone and The Bangles’ Eternal Flame. While this isn’t remotely on the same level as those four classics, it’s still a decent representative slice of Eighties pop/R&B. Lyrically the song is in stark counterpoint to Houston’s later life, an ode to happiness focussing on the joy of being in love. So Emotional was Houston’s sixth consecutive US number one, and climbed into the top five in the UK. Just sneaking in under my 20-year criteria, many of the facts surrounding this song are well-known. It was written by Dolly Parton, originally released by her in 1974 and subsequently re-recorded by Linda Ronstadt the following year. Houston covered it as the lead single from The Bodyguard, the film she starred in alongside Kevin Costner, in 1992, and it went on to top the charts all over the world, becoming the biggest-selling single ever by a female artist. In the US it topped the Billboard chart for a then-record 14 weeks and went on to win her two more Grammys. It was similarly successful in the UK, staying at number one for ten weeks, and becoming both the Christmas number one and the best-selling track of 1992. It was Houston’s fourth and last UK number one single. The soundtrack album has sold 44 million copies globally, making it the biggest-selling soundtrack album ever. As far as I’m concerned, it was just about the last of the great soundtracks, at the end of a succession which started in the early 1980s with Fame, Flashdance and Footloose and peaked later in that decade via Top Gun and Pretty Woman before culminating in The Commitments and The Bodyguard. Since then, the only soundtrack album which has been added to our collection is (the admittedly great) 8 Mile. What is less well-known is that I Will Always Love You was actually plan B. Originally, Houston was going to record a cover of Jimmy Ruffin’s What Becomes of the Brokenhearted but requested a different song on learning that Brokenhearted was to be used in the film Fried Green Tomatoes. She re-recorded I Will Always Love You as a soul ballad, insisting on retaining the a cappella opening against the wishes of her record company. (It was an inspired move in my view, elevating a merely good cover into something altogether more memorable.) The rest, as they say, is history. 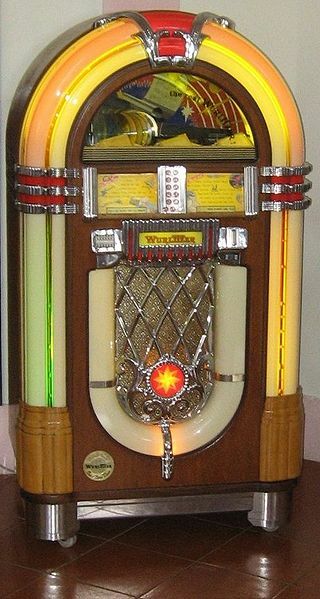 In accordance with my own Nostaglia Jukebox rules the five songs I have selected above are all at least 20 years old. In truth that’s no great hardship, as most of her work post-1992 is mediocre at best. The Bodyguard spawned a series of further single releases in 1993, with only a cover version of Chaka Khan’s I’m Every Woman and I Have Nothing being particularly noteworthy. Other than that, only 1999’s It’s Not Right But It’s OK (number three in the UK, number four in the US) and 2009’s Million Dollar Bill (number five in the UK and only number 100 on the main Billboard Hot 100, but number one on the US Dance chart) came remotely close to recapturing her former glories. And in the case of the latter, even heavy production values could not disguise the fact that her formerly unmatchable dynamic range had been noticeably eroded by the ravages of her lifestyle. But regardless of whatever mistakes she made in her life, 48 is too young for anyone to die – let alone one with a voice as outrageously capable as hers. Whitney Houston, 1963-2002. R.I.P. Posted in Entertainment, Music and tagged Didn't We Almost Have It All, How Will I Know, I Will Always Love You, Music, Nostalgia Jukebox, Saving All My Love For You, So Emotional, The Bodyguard, Whitney Houston. Bookmark the permalink. Just as you say, no great surprise really but I managed to still be shocked anyway. I guess it’s the Pollyanna side of me, which kept hoping she would escape the doom that seemed to be awaiting her. I very much agree with your choice of songs except for “I Will Always Love You”. I never liked it much to begin with (speaking of saccharine) but it was so overplayed that I very shortly wanted to scream every time I heard it. It became like some TV jingle you can’t get out of your head. I actually heard about her death on Facebook last night, and immediately posted “I Wanna Dance With Somebody” (which I think edges out “How Will I Know”) and “Saving All My Love For You”, which I think showcases her voice better than any other song she ever did. It was painful seeing her in her latter years. She was confused, gaunt, and her voice was ravaged and gone. It’s so very sad. Ah yes. I Will Always Love You became very much like (Everything I Do) I Do It For You from Robin Hood: Prince of Thieves (Costner again! ), or later Love Is All Around from Four Weddings And A Funeral – songs you simply could not escape from no matter where you went. That Bryan Adams song still haunts me to this day. I kind of agree about I Will Always Love You. The a cappella intro makes it memorable, but otherwise it is a fairly ordinary reworking of what I consider to be a fairly ordinary song. Definitely high on the saccharine meter too. I think I’m in a very small minority in preferring How WIll I Know over I Wanna Dance With Somebody. I can’t really articulate why, but the former puts a smile on my face while the latter makes my teeth grind. Some of the images I’ve seen on Whitney tumbling out of parties last week merely underline the state she was in. Okay, none of us ever looks at our best at 3am after a heavy night on the, ahem, soft drinks, but you can’t help but feel that her lifestyle contributed heavily to her demise. Agree with your song choices and sentiments. I was a huge whitney fan in the early days and loved everything up to and including the bodyguard. The first album is one of my faves of all time. It’s so sad that she passed away but not overly surprised. I am more surprised that she was only 12 years older than me! I was a little surprised to discover she was only 48 too. No one at all seems to be surprised by the news of her death, though. That in itself is pretty sad. The music she made epitomised MOTR, bland sanitised pop that gives me hives. She was as far from her R’n’B roots as it is possible to be and only her later stuff even touched doing anything original and even that was, I thought, not great. I remember hearing her being booed at some ceremony (donkeys years ago) that was handing out gongs for soul and r’n’b and that must have really hurt. I always wanted to hear her without a swirling string section, a gospel choir and an echoed drum machine singing stuff from her heart – not belting it out – just letting her natural talent ooze out. It is sad – and this makes me sound like a right meany – but she possessed incredible talent, beauty and natural stage presence and the biggest waste was that she didn’t do something extraordinary with all of that. Maybe that is what ate away inside of her or maybe she just became too big too quickly and it was too difficult to handle…or maybe she just tried drugs the once and like many, many other people found herself becoming gradually dependent. Dionne Warwick was Whitney’s cousin, Aretha Franklin her godmother – R&B royalty, indeed. Like you, I was never a big fan – I agree her voice was never really used to its full potential (not even close). MOTR pretty much sums up the vast majority of her output, which I find astonishing given the array of both songwriting and production royalty who worked on her albums. I can also remember reading about her getting a decidedly lukewarm reception at a concert she did in Oz at the height of her popularity. The crowd was so unimpressed that they didn’t even call for her to do the obligatory encore. Ouch. A great voice, yes. A great artist, not so much. It’s interesting that often those with the greatest talents either waste them or don’t use them wisely. While those with less talent, who therefore have to work a lot harder, often achieve more. That sounds a bit too profound for a Thursday morning!